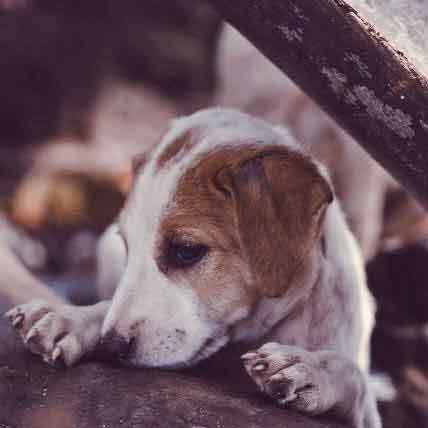 Protecting your puppy from fleas and ticks is should be near the top of the list things to investigate for new pet parents. Find out if and when you can start using one of the best protection products on the market on your new little friend. 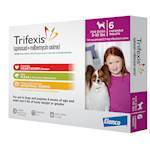 One of the best products available for the control of fleas is Frontline Plus. 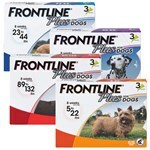 The ingredients in Frontline Plus for Dogs are effective at eradicating fleas as well as ticks, chewing lice, and sarcoptic mites. 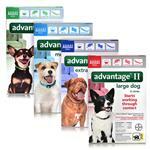 Many pet parents comfortably use Frontline on their adult dogs, but what about Frontline for puppies? Is Frontline Plus safe for them? The short answer is that you should not use Frontline on puppies under 8 weeks of age. If you have a puppy younger than this who has fleas, you should seek alternative eradication methods. 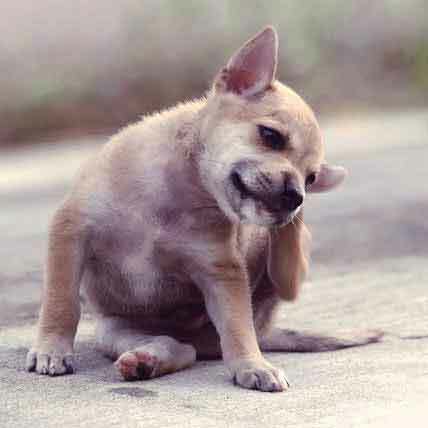 Thankfully, nature is on our side in the battle against puppy fleas. Most puppies 8 weeks or under will still be under the care of their mothers. A mama dog will clean and groom their pups regularly, which helps to keep fleas at bay. Additionally, antibodies found in mother’s milk help to naturally repel pests. These are two of the many reasons puppies should be kept with their mother, and their litter, for the first several weeks of their lives. 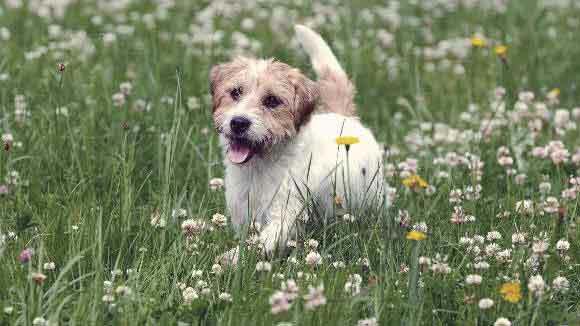 There are a number of other parasite control medicines available to puppy owners, all of which have somewhat different minimum age requirements. Most flea collars, sprays (like Frontline Spray), and shampoos come with age warnings, and should not be used prior to the 8 week mark. In the meantime, consider one of the following natural solutions, which are also great for those puppy owners who want to go green. Note that many of these alternatives don’t have clearly defined minimum age standards, so consult with your vet before using them on your puppy. Lavender oil: The essential oil from the lavender plant has been shown to repel fleas in dogs. Place a drop of oil at the neck and on at the base of the tail. 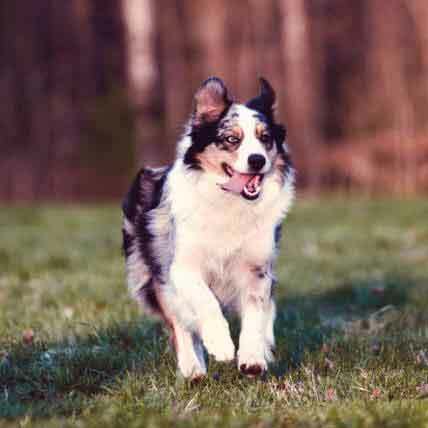 Brewer’s yeast: Fleas don’t like the taste of brewer’s yeast, so many dog owners sprinkle it on their dog’s food. 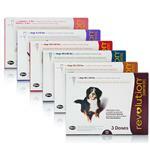 Ask your vet about a proper dosage. 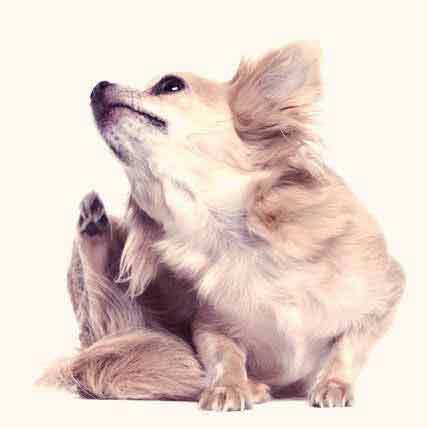 Apple cider vinegar: Fleas aren’t keen on the acidic taste of apple cider vinegar, so some pet owners sprinkle it on their dog’s food or dilute it and then use it as a topical spray for flea control. Lemon spray: Boil lemon slices and then allow them to steep overnight. You can use the liquid as a spray to repel fleas. Remember that lemon in the eye or in a wound can be uncomfortable for your dog, so be careful.